Continental Western Insurance Company (“CWIC”) recently filed suit against Colony Insurance Company in Colorado federal court seeking declaratory relief and contribution for Colony’s alleged failure to share in defense and indemnity costs in connection with the deadly 2011 listeria outbreak. Should the two insurers fully litigate this case, it may be instructive in determining when a food contamination incident triggers a CGL policy CWIC’s complaint is filed under docket no. 1:13-cv-1425. Common-insured Pepper Equipment Corporation faces liability for selling allegedly inappropriate agricultural packaging equipment to Colorado-based Jensen Farms, which sold listeria-tainted cantaloupes. Government reports suggest that the 2011 listeria outbreak was the “deadliest foodborne illness outbreak in over 25 years.” The Centers for Disease Control and Prevention (“CDC”) reported that the cantaloupe infected 146 people in 28 states and resulted in 30 deaths. Claimants filed personal injury and wrongful death suits against Jensen and Pepper based on the outbreak. Jensen filed for Chapter 11 bankruptcy, and both Pepper and CWIC agreed to participate in the bankruptcy claim resolution to secure settlements, releases and other resolutions. CWIC alleges that it incurred $1.35 million in an effort to “obtain the most value to Pepper for the finite amount of indemnity money potentially available.” CWIC alleges that at least some of the claims trigger Colony’s duties to defend or indemnify Pepper, and that Colony wrongfully refused to defend claims or participate in the claim resolution process and other outside proceedings, despite the notice, tender and demand for coverage. CWIC seeks full reimbursement or contribution for Colony’s proportional share of the defense and indemnity costs. While various factors will determine Colony’s exposure, the issue of trigger is particularly relevant. CWIC’s policy provided coverage from September 14, 2010 to September 14, 2011, while Colony’s policy provided coverage for September 14, 2011 to September 14, 2012. Pepper sold the equipment to Jensen in May of 2011, and Jensen distributed the contaminated cantaloupes between July 10, 2011 and September 10, 2011, according to the CDC report. 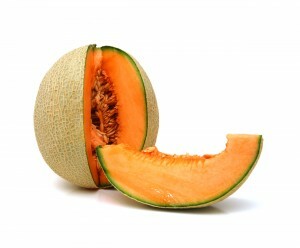 Cantaloupes have a shelf life of about two weeks, and the incubation period for the listeria bacteria can be greater than a month, meaning some customers first became sick as late as October 27, 2011. While reports suggest that the underlying parties will reach a settlement of their litigation within the next six months, the coverage issues in dispute may linger well beyond this date, as the insurers tackle the trigger of coverage, the scope of Colony’s duty to defend, multiple claimants seeking to recover limited insurance proceeds, and allocation, among other issues. The Food Recall Monitor will continue to monitor the ongoing coverage litigation and provide updates as they occur.